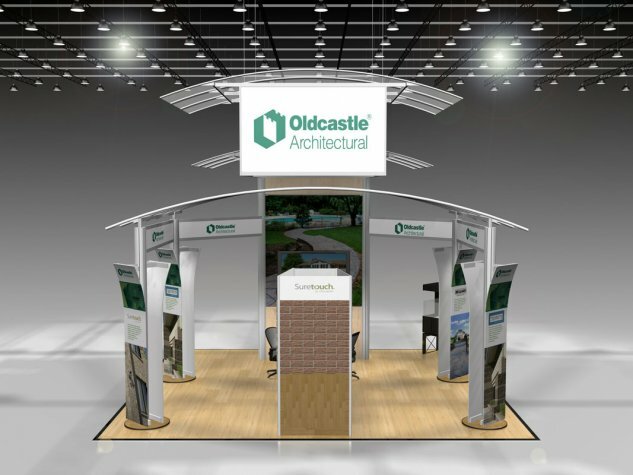 Oldcastle Architectural wanted a booth design that would be not only light and airy, but also high end – all while adhering to a tight budget. Using a combination of custom and stock elements, we were able to stay within budget while also working closely with the client’s own sales team to create a cohesive look and feel. This booth has been to multiple industry shows and has been very well received.